of this weeks sale (from the BBMA Webstore) will be donated to it. So, if you ever contemplated about either getting some BBMA stuff or not - now is the time! Who are you and what is the Idea behind "No More Borders"? to try to forge a better future and help the family we have back in our country. to have our parents living in europe near us. What have you acomplished so far and how has the campaign evolved since the beginning? we are looking forward to see them here when we want and not when we can! So now we need to sell the things we have such as prints (designed from tattoo artitsts. friends of us) and tote bags to raise the money we need. What are your plans for the near future and how do you want to realize them? the news as only fiction movie, it´s also true. 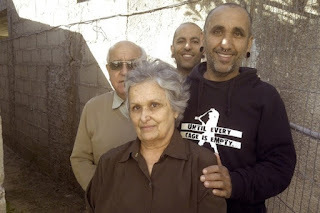 If someone need or want some pictures of where my parents live i can send it, not because we live here means we have all the solutions, that´s the reason we need you that read tis interview, we need your support! we have many nice things to sell!